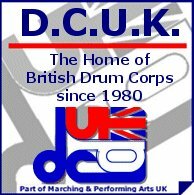 Following the success of Perfect Day in 2007 and Ave Maria last year, a month or so ago DCUK asked for ideas for a 2009 Theme Tune for DCUK. We did receive a number of suggestions (and thank you to those that did submit ideas) and are now pleased to advise that the Theme Tune for 2009 will be Memory (from the musical Cats). The person who suggested Memory was not able to provide us with a score of the tune and therefore the DCUK Board have asked Eoin O'Keeffe, who has successfully "managed" the theme tune for for the past two seasons, to create an arrangement and this has now been emailed to all Corps and is also available to download off the DCUK website. If Corps need help or would like to obtain parts for different instrumentation then they can contact Eoin, via DCUK (admin@dcuk.org.uk), who will be more than pleased to offer assistance. The tune will be "rehearsed" at both the Warrington & Eastleigh contests ready for a magnificent spectacle at the 30th British Drum Corps Championships in September.